Times are hard. In an expanding world, it can feel like there’s more and more we have to purchase just to keep up with the times. This kind of environment can create a stressful environment for the American family. So many families live paycheck to paycheck and don’t have money set aside for an emergency. When the need for big payment comes, many Americans are left unprepared. Securing a personal loan is one such way to get through these moments. But what if your credit score is on the lower side? What then? It doesn’t have to be the end of the story. It is possible to get personal loans with bad credit. Read on, and we’ll walk you through nine tips that can really help. It may sound surprising, but most Americans have no sense of how a credit score is decided. If you’re applying for a personal loan, it’s important to understand how you reached the number you’ve landed at. After all, that three-digit number is going to have a big impact on your future. When it comes to securing a personal loan, most lenders want a ‘good’ score. That means that your three-digit number is about 720 or over. 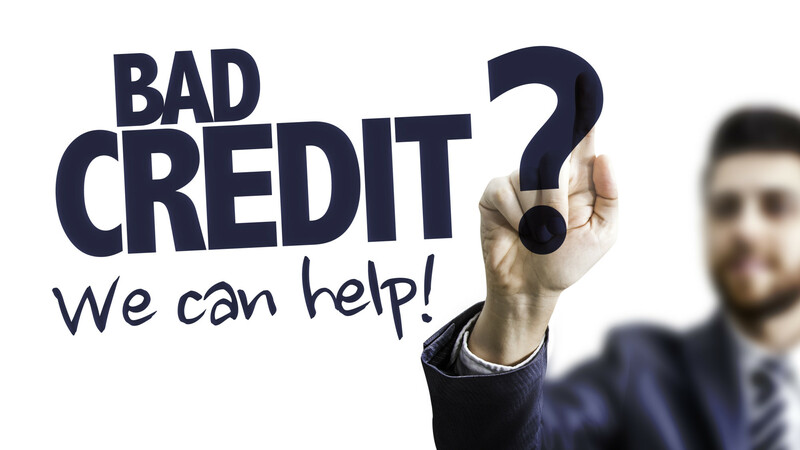 This score is based off your existing credit history and your ability to repay loans over a long period of time. If your credit score is low, it’s likely because you failed to pay back money in time on one of your lines of credit. If you have a lower score, many lenders won’t offer you a personal loan at all. So what can you do? If you don’t need money right away, you can take the time to build your credit score back up to its former heights. All you have to do is reinstate proper spending habits. Study your credit card report and see where your score is getting hit. Resolve to fix these issues. Pay your bills on time or even early. Keep the amount you use of your credit level low– as low as thirty percent. Your credit utilization is a big part of your score and lenders prefer users who spend less. If you’ve paid off a card, keep that account open. The length you’ve had open accounts contributes positively to your credit score. Having a card open that you don’t use for purchases is actually one of the best things you can do for your personal score. With these steps in mind, you can get your score back up and secure personal loans easier. Secured loans can be a great way to incentivize lenders to grant you a loan when you have bad credit. Secured loans are based on the concept of collateral. That means when you apply for a loan, you offer a piece of property in return for the loan. That property could be your car, your house, or something with such high value. If you fail to pay back your loan, the lender has the right to seize the property that you put up as collateral. These are high stakes, and you shouldn’t apply for a secured loan unless you’re sure you can pay it back. But if you’re certain you can, offering collateral is a great way to increase lender confidence in you without raising your credit score. Check this out for more info on loans for bad credit borrowers. Sometimes securing a personal loan means going elsewhere besides the traditional lenders. A local credit union can be a great place for borrowers with low credit scores. Credit unions are very similar to banks, but their evaluation process for loans is much broader. Your credit score is just one of a few different qualifications they consider when looking at borrowers. The only catch with a credit union is that you’ll need to join as a member before being able to apply for a loan. Your financial health, employment, and living proximity all are factors involved in gaining membership. If you need cash fast, it may be tempting to take out what is known as a payday loan. Payday loans can be incredibly dangerous for your financial future, despite being a tempting ‘quick fix’ for those struggling. Payday loans are usually granted by online lenders or smaller organizations. They’ll approve almost anyone for a loan, even with bad credit. But this kind of lending attitude comes with an extremely high price. The APR rate on a payday loan can be as high as 350 percent. You’ll get the cash you need that day, sure. But you’ll likely be in debt to this lender for weeks, months, or years to come. Fixing a current financial problem by creating another is never a good solution. You can quickly fall into a cycle of debt and borrowing that can be hard to come back from. While the fast solution of a payday loan can be tempting, it’s best to keep far away from such lenders. Your financial future will be better off for this decision. It can be incredibly frustrating trying to secure a loan if you’ve had a difficult financial past. Luckily, there are personal loans with bad credit borrowers out there. The above tips and tricks can help you get on your feet and secure the funds that you need. Need help finding personal loan lenders? Check out which ones we recommend.